This Monday, October 23rd, all Olmsted Falls City School District residents are invited to attend the annual State of the Schools event to hear about what’s going on in the district directly from top leadership. The event will take place in the Olmsted Falls Middle School Media Center at 6:30 p.m. October 23rd. Olmsted Falls City Schools Superintendent Dr. Jim Lloyd, Treasurer Emily Dales and other district leaders will share the latest information about what’s happening in our schools. SNEAK PEAK! Architectural renderings of new construction and renovations at OFHS will also be on display and discussed. Please be sure to mark your calendar and join community members from across the district for this unique community engagement opportunity. We hope to see you there! Olmsted Falls Board of Education Members (pictured L to R) Cynthia Tomasch, Holly Neumann, Joe Bertrand (Board President), Greg Surtman (Board Vice President) and Linda Parkowski mark project milestone with groundbreaking event in OFHS south courtyard. Olmsted Falls Board of Education members were joined by members of the OFHS Construction Team this week to celebrate progress on the much-needed expansion and renovation project currently underway at Olmsted Falls High School. The group gathered ahead of the regular monthly Board of Education meeting on October 19th for a ceremonial groundbreaking to mark the approval of the first significant site work package for the project – which includes site work related to building pads, construction roads, and underground utility services (electric, water, sanitary sewer) for the building expansions. To mark this significant progress point, the Board members gathered together with representatives from the OFHS Construction Team to break ground in the south courtyard, where the largest portion of the expansion will take place. OFHS Construction Team members joining the Olmsted Falls Board of Education for this ceremonial event included representatives from Olmsted Falls City School District administration, Turner Construction (the construction management company for the OFHS project), and Architectural Vision Group, Ltd. (the architectural firm for the OFHS project). Olmsted Falls City School District continues to be very appreciative of the community’s support in maintaining the ongoing excellence of our school system. The much-needed expansion and renovations underway at OFHS are thanks to the support of voters, who passed the zero additional taxes bond issue last November to fund the project. Funds from this ballot issue are allowing the district to build additional classrooms and complete important upgrades at OFHS, as well as make important repairs and maintenance to schools across the district. By law, these funds cannot be used on school salaries or administration. An extended update on OFHS construction project will be included the upcoming State of the Schools event scheduled for this Monday, October 23rd at 6:30 p.m. in the Middle School Media Center. All staff members, students, families and community residents are invited and encouraged to attend! The school district looks forward to a community celebration of the new high school facility at the completion of the project, which is currently scheduled for fall 2018. As always, any residents with questions about the OFHS construction project or overall maintenance of schools across the district are encouraged to call the district office at 440-427-6000 or email Superintendent Dr. Jim Lloyd directly at jlloyd@ofcs.net. Olmsted Falls Board of Education honored the five OFHS students recently recognized by the 2018 National Merit Scholarship Program at their October meeting. The five students are Abigail Gaba, who has been named a National Merit Scholar Semi-Finalist, and Emily Andrews, Cory Ramsey, Lindsay Rowe and Natalie Sommer, who have each been named National Merit Commended Students. These National Merit Scholars are pictured at right along with Board President Joe Bertrand, OFHS Principal Holly Schafer and OFCS Superintendent Dr. Jim Lloyd. Congratulations again to all of these outstanding students! We wish Semi-Finalist Abigail Gaba good luck as she advances on to the next level of National Merit Scholarship Program competition. Go Bulldogs! Olmsted Falls High School teachers Angela Andrews and Alan Evangelista shared inspiring examples of student success during their presentation about the Reading and Writing Level II class to Board members at the October meeting. They were joined by one of their students, Autumn, who shared her personal story of growth and progress in the Wilson reading class. Thank you Mrs. Andrews, Mr. Evangelista and, especially Autumn, for this outstanding presentation! OLMSTED FALLS VS. NORTH OLMSTED UP FOR GAME OF THE WEEK – VOTE NOW! The upcoming Olmsted Falls Vs. North Olmsted football game is in the running for the Cleveland Browns High School Game of the Week. Help your Bulldogs win the final Cleveland Browns High School Game of the Week contest of the regular season.! 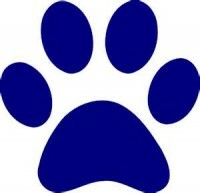 Let’s go Bulldogs! So excited to see this amazing mural now traveling around to our other school buildings! It is now on display at Falls-Lenox Primary School for our 1st, 2nd and 3rd graders to enjoy! Thank you again to OFIS students and especially Anna, Colbie and Riley for this uplifting work of art! Hands-on learning! Our BioMed students had an outstanding experience during a recent visit to Tri-C Westshore! Join us for an informational meeting to learn more about Olmsted Falls Youth Wrestling. The Takedown Team is open to students in grades 1-6, who want to learn more and compete in the world’s oldest sport. You may also register your wrestler at the meeting, with registration remaining open during the first week of practice. Team t-shirt, Ohio Youth Program registration cost, Sunday dual meets, wrestling instruction for the next three months, end of year banquet, and awards. Is your child a little too good at Trick-or-Treating? F-L/ECC PTA will take your extra candy! It’s time for the PTA’s Annual Halloween Candy Drive, which will take place on Wednesday, November 1st – Friday, November 3rd. We are asking children to donate a portion of their candy to children who may not have had the opportunity to participate in Halloween festivities. The collected candy will be taken to area charities including the Applewood Center. Please have your child drop off his/her donation in the designated boxes at the main entrance. Thank you for your generosity! 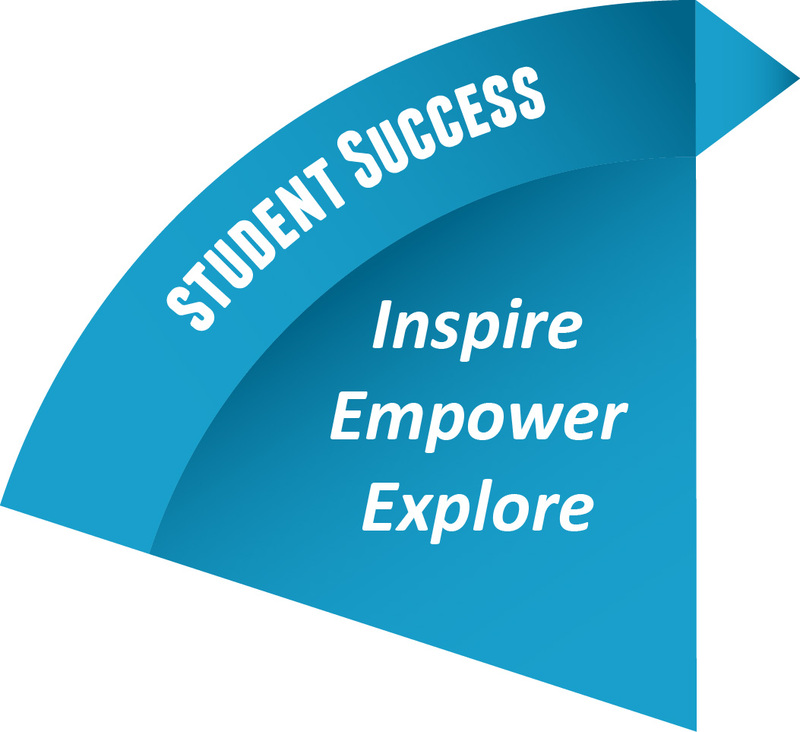 The Olmsted Falls City School District is having a student wellness policy review meeting on Wednesday, November 1st at 2:30 p.m. @ Olmsted Falls Intermediate School in Room 427-437. This meeting is open to parents, students and community members. To attend, please RSVP in advance directly to OFCS Food Service Director Denise Tabar, MS,RDN,LD, via email at dtabar@ofcs.net or call 440-427-6440 to be added list. •Enjoy a complimentary lunch including dessert. • See a special performance by the talented students from our OFMS Bulldog Theatre Company! and get an Olmsted Falls City School District update. SPACE IS LIMITED; ADVANCE RSVP REQUIRED. Please call (440) 427-6000 to reserve your seat today. DIRECTIONS/PARKING: Olmsted Falls Middle School is located at 27045 Bagley Road. Enter the campus at the far west entrance drive. Follow the road straight back and reserved parking will be available on your right, in the west parking lot. (Signage will be posted to show you the way.) Staff members will be present to direct you to open spaces. FREE COLLEGE INFORMATION NIGHT – NOVEMBER 8TH: This fall, Lake Ridge Academy is once again hosting a free college information night titled The Pathway To College: Are You Ready? on November 8. The event is designed for parents of pre-teen and older students and will include insightful presentations by college admission representatives from Case Western Reserve University and the College of Wooster, along with financial planning experts from HPM Partners. This event will help parents understand how their child’s academic choices in middle and high school impact future college acceptance, along with understanding best approaches to college savings and financial aid. This FREE event is open to all Olmsted Falls High School and Middle School families. CLEVELAND STATE UNIVERSITY INSTANT DECISION DAY – NOVEMBER 9TH: Thursday, Nov 9th from 8 am to noon is Cleveland State University Instant Decision Day at OFHS. Students who participate will meet with an admissions representative and receive an on the spot college decision. CSU will waive the $30 application fee for students who participate. 15 minute appointments are available during lunch and study hall periods. Please sign up in the guidance office by Nov. 3rd. Students must complete an online application with Mr. Markusic before their appointment. The Holiday Home and Craft Shoppe invites vendors to participate in its November 11th event at Olmsted Community Center, 8170 Mapleway Drive, Olmsted Falls. The event runs from 9 a.m. to 4 p.m. The cost is $35 for an 8-foot space, which does not include table/chairs; $15 to add 8-foot table and two chairs and $5 for limited electrical outlet. For an exhibitor application form, click HERE. An addiction to opioids (which includes pills and heroin) can strike any family. To protect your family, do you know: The warning signs of addiction? How to minimize the risk of addiction? What to do and what not to do? Where to go for help? For answers to these questions, please join us on Sunday, Nov. 5, from 7:00-8:30 p.m. at St. Ladislas Church 2345 Bassett Road, Westlake. Your questions will be answered by a panel of speakers: Dr. Abdallah Kabbara, director of the Pain Management Center, UH SJMC; Det. Bob Walling, Westshore Enforcement Bureau; Matthew Gerstacker, Ph.D., counseling psychologist; Mr. Joe Jerome, parent; and a recovering addict. No RSVP is needed. For more information call 440-835-2300 or email Deacon John Travis at jtravis@stlads.org. What you learn may save a life. Olmsted Falls City Schools and other school districts across Ohio are CLOSED TOMORROW, Friday, October 13th, for the annual NEOEA Day. We hope students and families enjoy the long fall weekend! Looking ahead, please also note there will be NO SCHOOL for students on Tuesday, November 7th – Election Day. OFCS staff members will participate in a scheduled professional development day on this date. Thank you to members of our OFCS Finance Committee for attending last week’s meeting with OFCS Treasurer Emily Dales. We appreciate your time, participation and perspective. The OFCS Finance Committee currently consists of six members who are district residents and who have a financial background. Many of the committee members currently have children attending Olmsted Falls Schools. The District Finance Committee meets quarterly and is not a voting committee. The group’s purpose is to discuss the finances of the district and get the perspective of the community. Any resident with questions about district finances is encouraged to contact the OFCS Treasurer’s Office at 427-6000. On Monday, October 23rd, all Olmsted Falls City School District residents are invited to attend the annual State of the Schools event to hear about what’s going on in the district directly from top leadership. The event will take place in the Olmsted Falls Middle School Media Center at 6:30 p.m. October 23rd. Olmsted Falls City Schools Superintendent Dr. Jim Lloyd and other district leaders will share the latest information about what’s happening in our schools. Hands-on learning! Our BioMed students had an outstanding experience during a visit to Tri-C Westshore last week! The Olmsted Falls High School Swim and Dive Team will have a parent/swimmer meeting at 6 p.m. on October 17th in the high school cafeteria. The meeting will discuss the upcoming season. OFVA Tryouts are Saturday, October 28th at the Middle School! Please click HERE for tryout flyer with additional details. The Olmsted Falls Alumni Association will induct six outstanding athletes and one coach into the OFHS Athletic Hall of Fame October 26th.This year’s inductees are: Bob Katitus, ’88; Pal Hodermarksy, ’99; Steve Gansey, ’04; Dan Binggeli, ’04; Meghan Mental Spriggs, ’07; Tyler Sparks, ’07 and Coach Richard “Spark” Szalay.The Induction Ceremony and Dinner is at 6 p.m. October 26th at the German-American Cultural Center, 7370 Columbia Road, Olmsted Township. Tickets are $35. All are welcome to attend. The inductees also will be introduced at the October 27th home football game. Reservation forms for the Induction Ceremony are available by clicking HERE or contacting Cathy Hess at the Alumni office, 440-427-6030 or ofhsalumni@yahoo.com. Again this year, OFIS PTA is asking parents to participate in the Box Tops for Education fundraiser. 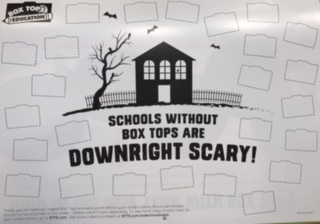 PTA earns 10 cents for each box top. This helps fund such activities as field trips, end of the year events and others. When sending in your donations, please be sure to include your student’s name and homeroom teacher to ensure their classrooms receive credit. 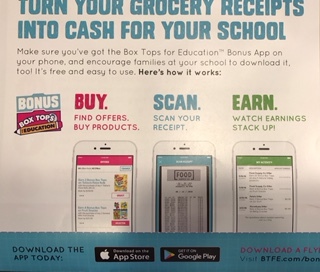 Download the Box Tops for Education Bonus App to scan your receipts. It makes the process easy and fun.